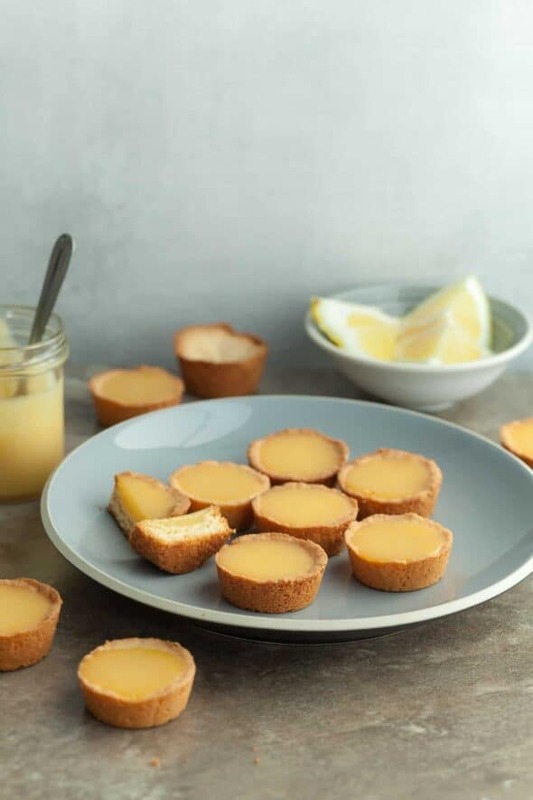 These bite-sized gluten-free tassies are filled with a bright and citrusy vegan lemon curd. There’s something about lemon desserts that always says springtime to me. 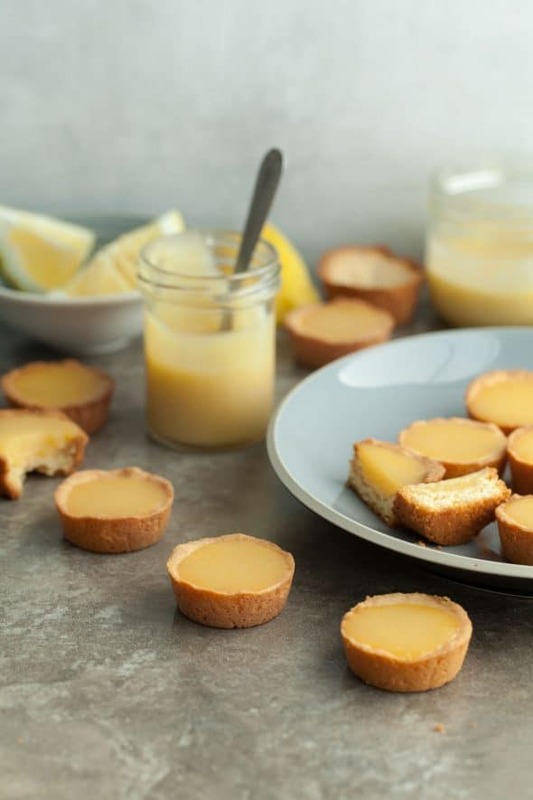 From the sunshine-like color to the bright and tangy taste, lemons have a way of livening up any sweet treat they meet, and these little lemon tassies are no exception. Filled with zesty citrus flavor, the two-bite treats are like little bites of sunshine. 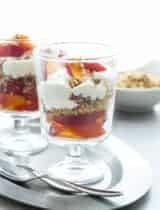 Regardless of the season, these classic treats make an excellent addition to a brunch or dessert table. 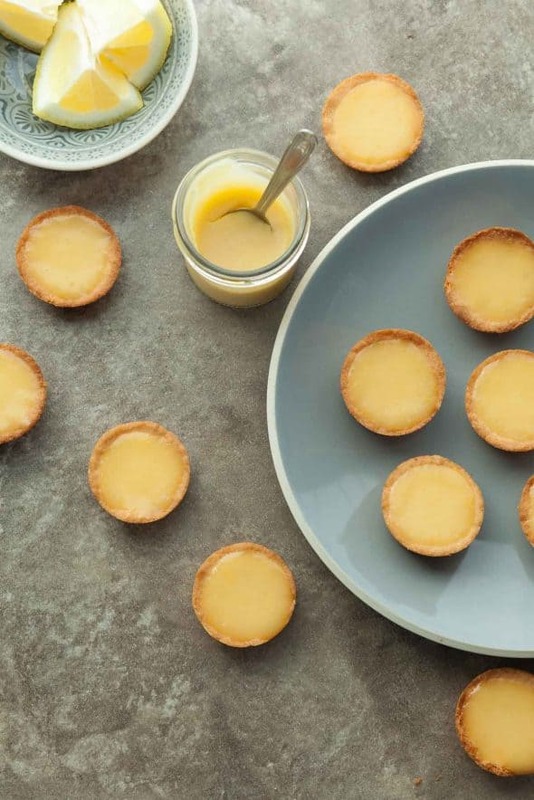 The miniature tarts feature a tender shortbread crust with a tart lemon curd filling, and their diminutive size means no forks necessary! They’re the perfect contrast of sweet and tart, crisp and creamy and everything a good lemon dessert should be. 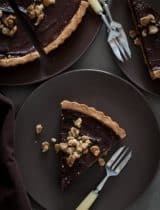 The shortbread crust is based on this recipe and it couldn’t be easier. No need to roll it out, it’s one of those you just press into the pan with your fingers. 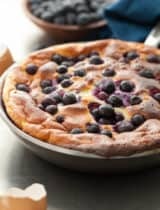 Speaking of pan, I’ve used a mini-muffin pan to make bite-sized tassies but you could easily make slightly larger tart-like ones using a regular muffin pan. 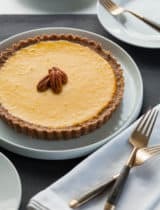 As with many tart recipes you can make the shells ahead of time (store the baked shells in an air-tight container at room temperature for a few day) and just fill the tassies with the lemon curd when you’re ready to serve. The curd comes together rather quickly and easily in one saucepan. 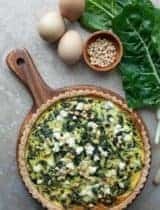 And since there are no eggs or dairy in this recipe there’s isn’t any need to worry about your curd scrambling. Best of all the vegan lemon curd filling is just as rich and tart as the traditional kind! 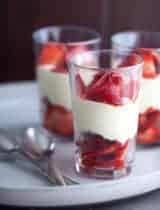 The secret is arrowroot and a pinch of agar to give the filling the same heft and soft wobble as the egg thickened kind. There’s also lots of fresh lemon juice and zest for loads of bright and zingy flavor. And because these are gluten-free, grain-free, paleo, and vegan, these lemon tassies will suit just about everyone’s diet! The toughest part of making these tassies is waiting for the filling to set before popping one in your mouth! In a large bowl cream together maple syrup and palm shortening until smooth. 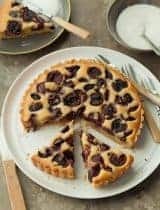 Add almond flour, arrowroot and salt and work into the mixture with a fork adding 1 teaspoon of water until a soft dough forms. Pinch and press dough firmly across the bottom and halfway up the sides of a greased 12 cup mini muffin pan with your fingers. Prick bottom of dough with a fork and place pan into freezer 10 minutes to chill or in fridge until needed. Preheat oven to 350 degrees F. Bake shells for 10-12 minutes or until golden around the edges. Set on a wire rack to cool completely. Meanwhile make the filling. 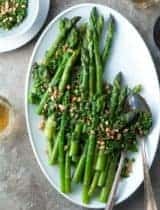 Whisk together lemon juice, lemon zest, maple syrup, arrowroot and agar powder in a small sauce pan over medium heat. Whisk continuously until mixture starts to thicken. Turn off heat and whisk in coconut yogurt and palm shortening. Pour warm lemon curd into cooled shells. Let set until firm and serve. Refrigerate leftover curd and/or tassies in an airtight container. these are so beautiful and perfect. I am adding them to my "to-do" list! !